You know what all the cool kids are doing? 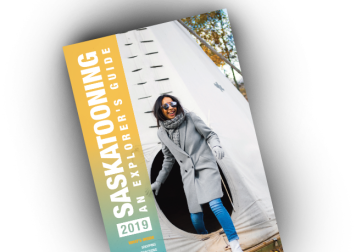 They are bookmarking this page full of sweet events featuring great food, music, and theater so they can stay updated while in Saskatoon. You want to be cool don’t you? Huh? Speaking of cool – there is some seriously cool stuff happening in terms of arts and culture here. We’ve got the Broadway Street Fair, Folk Fest, Saskatoon Pride Festival, Shakespeare on the Saskatchewan, and Nutrien Fringe Theatre Festival. The SaskTel Saskatchewan Jazz Fest presents headline acts, free stages, and intimate club shows during the 10-day festival. The party doesn&apos;t stop simply because the snow falls. If you are up for some winter fun, make your way down to the Farmers&apos; Market to see the ice sculptures at the Nutrien WinterShines Festival. Feeling festive? Take a drive through the Enchanted Forest, Saskatchewan&apos;s top winter tourist attraction, to see the country&apos;s largest outdoor light show.